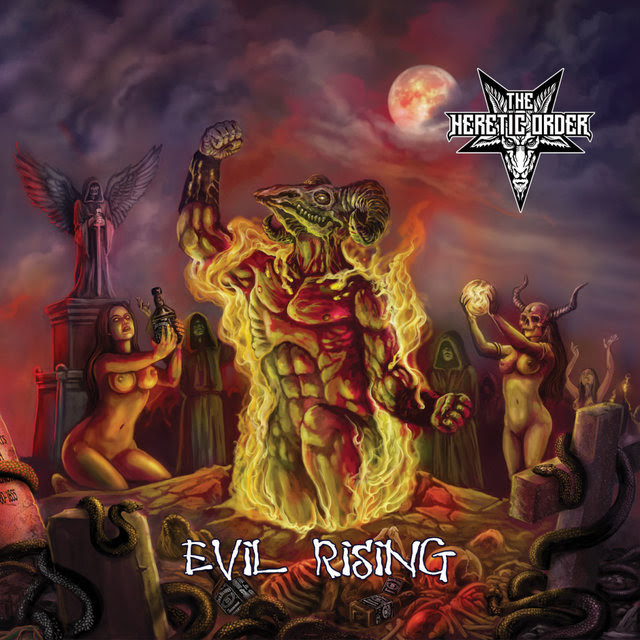 Lord Ragnar Wagnar from The Heretic Order gives Steve Goldby from Metal Talk a track by track exclusive about the bands upcoming new album ‘Evil Rising’ due out on June 22, 2018 on Massacre Records. The long awaited and highly anticipated follow up to 2015’s ‘All Hail The Order’ was produced by Will Maya (The Answer, Breed 77) and The Heretic Order. Having played in some of the major metal festivals and toured extensively in the UK the band expanded their reach playing their first European tour with Dave Vincent‘s I Am Morbid And Necrophagia last year. Still touring the wickedly awesome debut album ’All Hail the Order‘, released at the end of 2015 through Massacre Records, THO are putting the finishing touches to their follow-up album, with plans to release after the summer. Stay tuned for more news in the near future. Tags bloodstock Evil Rising Lord Ragnar Wagnar massacre records Metal Talk Palmer Turner Overdrive Press release THE HERETIC ORDER.